I agree with pretty much everything Rod Dreher says in The Benedict Option, and strongly urge every Christian living in today’s world to read the book carefully. It can be sweeping and too simplistic at times, but in general I find it to be a very thoughtful and accurate diagnosis of the contemporary social environment in the first-world. As a description of our “moral ecology,” I find it very compelling and helpful, even if sobering. Yet it also contains a generous measure of hope and encouragement. The accounts of the communities and individuals he holds up as models of his proposals are genuinely beautiful. the view that moral and social change is consequent upon the decline of religion is false, and the view therefore that such change could be arrested or could have been arrested by halting the decline of religion is also false. I have argued instead that the causes of moral and social change have lain in the same urbanization and industrialization that produce secularization. So the solution to the fragmentation and disintegration of modern life is not going to be “Christianity” as an ideology or institution, nor will it necessarily come about through forms of Christian community and practice alone. Although MacIntyre mentions his “new and doubtless very different St Benedict” at the end of After Virtue, the way forward is far less clear and straightforward than simply reviving Benedictine monasticism or spirituality. MacIntyre does suggest an analogy to St Benedict, it is true, but the newness and difference of this figure is such that he/her/them will very likely go unrecognized in his/her/their own lifetime. So readers of MacIntyre are prepared to meet any concrete judgments in the book about exactly how to implement “the Benedict Option” and who is doing it right or best with deep skepticism; such determinations will inevitably prove premature if not grossly mistaken. To my surprise, however, Dreher anticipates this sort of criticism quite well. He does fill the book with models of his proposals and many practical suggestions about how to live the Christian life well amidst the adverse conditions of contemporary society, but he is also very careful to say that such proposals and suggestions are neither new nor in any way distinguishable from the timeless goal of union with God in Christ. The point of monasticism was not simply to retreat from a corrupt world to survive,…. But at the heart of it was a quest for God. It was that quest that mandated the preservation of classical learning and the pagan tradition by the monks, because they loved what was true and what was beautiful wherever they found it. The moment the Benedict Option becomes about anything other than communion with Christ and dwelling with our neighbors in love, it ceases to be Benedictine…. It can’t be a strategy for self-improvement or for saving the church or the world. Dreher has been thinking about the book’s theses and their implications for a long time, and he’s talked to a lot of good people about them. So his thought is very rich and his illustrations are very carefully and well-chosen. As a whole, the book simply portrays the noble attempts of a socially-conscious and highly articulate individual to live out the call of Christian discipleship in the present age. He’s actually done and experienced the things he discusses, and so he anticipates almost every line of critique, including the one I’m about to identify. It needs identifying, however, because Dreher himself does not address it as directly or sufficiently as he should. When I read that little remark, the reason for my unease became quite clear to me. “The Benedict Option” is a brand. It doesn’t matter how many clarifications and disclaimers you attach to it; if you propose it and use it like a brand, then it brings with it all the same modern consumeristic baggage which Dreher rightly argues is so toxic and hostile to the Christian life. One can be charitable and say that the Benedict Option as a “label” is simply a convenient way to point to an extended analogy between Benedict’s social environment (in the wake of Rome’s downfall) and our own. Fine and good, but Christians should be deeply skeptical about such labels: they take on a life of their own within the commodity-driven society we inhabit. If you can hash-tag it or easily put it on a t-shirt or book cover, then very likely it will turn into a slogan and at best it will serve as the brand-name of a movement. But of course, Dreher would be the first to recoil at this way of reading the tidy title he has given to his complex and compelling vision. 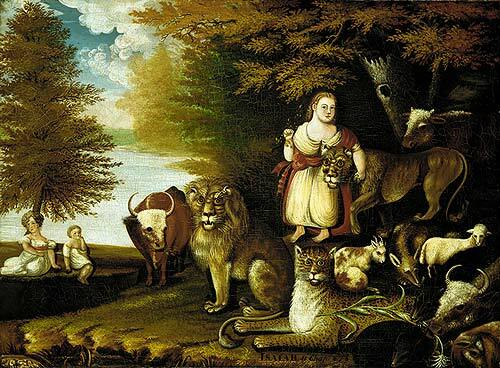 Nevertheless, it is a source of real danger, for it does not sufficiently recognize how embedded and conditioned we already are to live according to the presumptions and practices of “liquid modernity.” It does not sufficiently inoculate us to the self-deception that is so deeply ingrained in our culture of self-creation and identity construction. If the Benedict Option really is just another name for Christian discipleship and communion with God through the person of Jesus, then in a very important sense, it is not an option. It is not optional. If we no longer view the Benedict Option as an “Option,” many of the problems and misreadings that have arisen around it fade away. First of all, it will seem less like a “brand,” a marketing slogan fueling the latest commodification of the Gospel (a la“the Purpose-Driven Life” or “Your Best Life Now”). Secondly, and more importantly, the question as to whether the Benedict Option is calling for a withdrawal from society will no longer be intelligible. Dreher adequately rebuts the manifold accusations of sectarianism and quietism leveled at him by so many critics (many of which admit to not even reading the book), but nonetheless the question hangs in the air: “OK, so what are we supposed to do now– to make things better, to turn things right again?” A very American question, isn’t it? 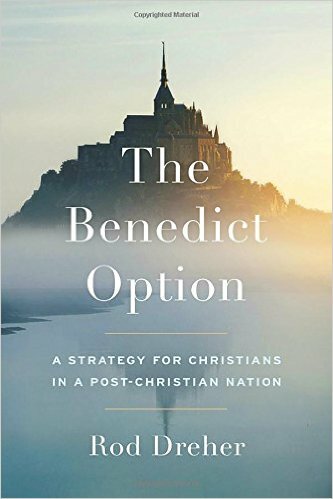 And the temptation for many of us Americans is to simply assume that the Benedict Option requires an intentional rejection of mainstream society, which implies a withdrawal from that society into a community of one’s own. Go off the grid, start a self-sustaining farm, homeschool your kids, and form an insurance co-op among the like-minded: isn’t that what you want us to do, Dreher? But of course, besides being a terrible reading of the book, that sort of presumption is utter nonsense. None of us can completely extricate ourselves from the societies and communities that have formed us, and that continue to claim us and sustain us. We cannot secede from “liquid modernity.” For most of us, living the Christian life is a daily affair in which we simply try to accomplish the tasks and encounter the people that are set before us each day. There is no possibility of choosing any grand social “option”; we have places to go, people to serve, diapers to change. It is enough if we can get through the day without hurting ourselves or those around us. But what if the “Benedict Option” weren’t so much an option as a path through life: a path that ever so gradually led to true goodness, true beauty, and true happiness? And what if it weren’t simply one such path among many, but the path. It is interesting that this is the term (way/path) that the early Christians used to describe their alternative way of life within the hostile social milieu of that age. For them, following Christ together was not an option, but the way; and that description becomes even more meaningful when linked to Christ’s own claim to be the Way. Similarly, we who follow Christ today should not identify ourselves as a collection of autonomous individuals who have chosen the same ideology or social strategy, but as nothing less or other than Christ’s Body in the world. So yes, I would give up the moniker. Leah Libresco might be right that it makes Dreher’s proposals more marketable, or more widely palatable, but it is ultimately counterproductive nonetheless. After all, to adopt the neutral stance of an unencumbered self choosing between various social “options” is to accept the central premise of modernity that has led to the crisis Dreher so aptly summarizes. Yes, exactly so. But even still, the idea of a “Benedict Option community”– however perfect– rubs me the wrong way. I could be mistaken, but I think Dreher would be OK with calling such communities “necessary embodiments of the Church in the present age.” I think his basic message is that we have to create such communities in order to remain the Church within contemporary society. If so, then the label is unhelpful, since we will only be able to create such communities slowly and from the ground up, utilizing whatever God sends us in the places where we happen to be. The most striking example of this approach is at the very beginning of the book, where Dreher vividly recounts “the Great Flood” which took place in Louisiana in 2016. Although he employs the event mostly as a metaphor for the social catastrophe that premises his argument, it is a helpful illustration of the fact that the new Benedicts that will save Christian civilization in the years ahead are not social architects, but normal followers of Jesus who take the risk of loving their neighbor when they find her or him in need. Growing up in south Louisiana, whenever a hurricane was coming, somebody would take out the cast-iron kettle, make a big pot of gumbo, and after battening down the hatches, invite the neighbors over to eat, tell stories, make merry, and ride out the storm together. This spirit ruled the response to the Great Flood of 2016. Even as the waters rose, little platoons all over Louisiana rushed out to rescue the trapped, shelter the homeless, feed the hungry…, and comfort the broken and broken-hearted. This was not a response ordered from on high. It emerged spontaneously, out of the love local people had for their neighbor, and the sense of responsibility they had to care for those left poor and naked by the flood. Men and women of virtue– the Cajun Navy, church folks, and others– did not wait to be told what to do. They recognized the seriousness of the crisis, and they moved. Some of these Louisianans may have sat back and weighed their options before deciding to go ahead and act on behalf of the poor. Perhaps for them, that course of action appeared as one option among many. Perhaps some even thought of it as an option they were called to prefer. But for those who saw Christ in the victims, it could not have been an object of choice in that way. It was not an option to which they responded, but the face of Christ in their neighbor. Excellent piece here. I think it pushes the conversation forward. It also really raises two deeper problems. One, we’ve arrived at a place where a brand – preferably one that is controversial and (on the surface) digestible quickly – is necessary to get noticed. When David Brooks suggests that Dreher’s book is the most significant religious book of the decade, one wonders where the days of Reinhold Niebuhr or even Christian Smith have gone. This is a problem in terms of Twitter-driven discourse that may only get worse as traditional channels of the discussion of ideas narrow and move into social media. I don’t know what to do about this. Two, I think you are right, but as a Hauerwas student, I’m tempted to say, “Good luck with that.” Hauerwas has been arguing against the claim that he’s “sectarian” for three decades and people still lay the charge. If, as you say, Dreher is simply proposing that “the Church needs to intentionally be the Church” – and that in his own text, he is quite clear about it not entailing “withdrawal” – we should ask why some are so keen on INSISTING that it IS an option – the wrong one.